On March 30, Jewish thugs belonging to Jewish Defense League beat the hell out of Kuwait-born American Kamal Nayfeh, a father of four and an instructor at Central Piedmont Community College in Charlotte, NC, outside the AIPAC conference in Washington DC (watch a video below). Two Jew thugs; Canadian Yosef Steynovitz, and American Rami Lubranicki, were arrested by the local police but being members of Bible’s ‘Chosen Tribe’, they were released within a few hours. Rami Lubranicki runs pro-Israel, anti-Muslim website, Islam Exposed, and founder of American Bikers United Against Jihad. He is chum of Pamela Geller aka the Jew Acid Queen of Islamophobia. Some of the other terrorist acts committed by JDL in the past include the deadly 1972 bombing of a New York talent agency that brought Russian performers to the US, and the 1985 assassination of a regional director of the American-Arab Anti-Discrimination Committee in California. According to the FBI, in 2001, months after the 9/11 attacks, two JDL members, Irving David Rubin and Earl Leslie Krugel were arrested by the Los Angeles Joint Terrorism Task Force for conspiring to build and place improvised explosive devices (IEDs) at the King Fahd Mosque in Culver City, California, and the local office of Republican Congressman Darrell Edward Issa. 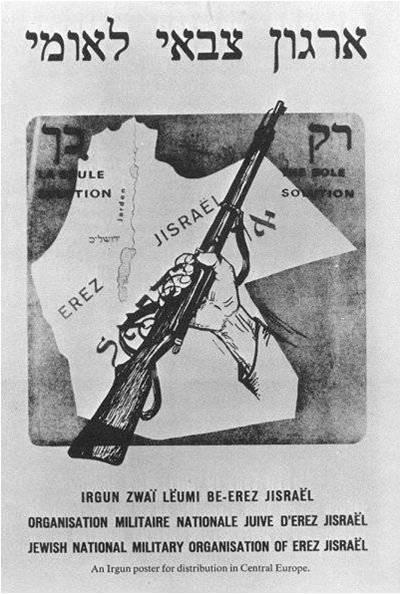 On Aug. 29, 1970, Soviet government newspaper Izvestia protested repeated attacks by members of the Jewish Defense League against Soviet diplomats in New York and demanded better U.S. protection. JDL is classified as “Terrorist Organization ” in Israel, the US, and several European countries. In Canada and France JDL is listed as a tax-deductible NGO. American Jew author and former Republican propagandist David Cole, a Holocaust denier, who was forced to changed his identity to save his life from JDL thugs – had posted an article, entitled, A Christmas Miracle: CNN Discovers Jewish Terrorism, on December 24, 2015. “Well, I’ll be damned. The mainstream media has finally discovered the Jewish Defense League. And only a decade or two too late. But why nitpick? Any old fool can condemn a terrorist group while it’s actively threatening and murdering people, but CNN didn’t get where it is today (the basement) by being rash and foolhardy (you know, like nearly going on air with the false announcement of a president’s death). Like a cobra with Down syndrome, CNN knows that the best time to strike is when the target is dead and motionless. Because of my own history with the JDL, some of my friends understandably thought I’d cheer the clips they emailed me of CNN’s Ashleigh Banfield lecturing a Donald Trump supporter about how Jews are supposedly just as bad as Muslims when it comes to terrorism in the US,” wrote Cole. FBI in a report admitted that between 1980-2005, Jews were involved in 7% of terrorist activities against US interests while Muslim extremists committed 6% terrorist activities. Ironically, Yitzhak Robin and Ariel Sharon were both members of European Jewish terrorist militia Haganah. Last month, a US-Israel Jew citizen was arrested in Israel for making threats to American Jewish community centers and graveyards.